The word “books” always have a special place in our life. Starting from the kindergarten books that opened the fascinating world of knowledge by teaching us to read and write to the detailed books we studied in schools and colleges that laid the foundation of the future, it always had been an integral part of life. It was always our silent partner whether it was letting us know what happened in history or opening up the amazing world of science. Reading biographies and stories of successful people inspires us while immortal love stories fill our heart with romance and passion. Social issue, war stories, sufferings fills our heart with compassion. New technology will come and go, but books are always going to stay, and with time the demand have only increased. Books are intended to make an impact on the reader; does every book achieve this goal? No, only few books make an impact. The primary reason may be content or the presentation. It is observed that sometimes books in spite of having quality content fail to make an impression on the reader because of a bad presentation. We are very sure you don’t want to lose the customer just because of this reason. We, S S Graphics are a pioneer when it comes to books printing. Our designers have years of experience, they very well understand every facet of this art. They will come up with a design that is unique and perfectly complement the content in every aspect, helping you catch the imagination of readers instantly. 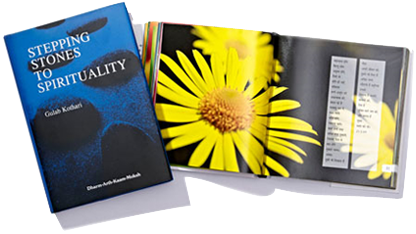 S S Graphics offers its highly esteemed clients complete book printing solutions to self publishers, publishers and authors. We have over 18 years of experience in field of printing. Latest technology, sophisticated machinery, highly skilled team and quality service have helped us to make a permanent place in the hearts of our consumers. You can have the same relationship with your clients by having us as your book printing partner. With all the different options available from layout to binding, books have the widest range of possible uses! They can be used as business materials like product manuals, annual reports, newsletters , company handbooks ,catalogs, sales presentations, and training manuals. Another commercial uses may be in the form of print materials like magazines, cookbooks, event programs and comic books. You can do a whole lot with booklets and accommodate just about any printing project you may have. !